The Outfit: A Collective of Chicago Crime Writers: Launch Day! 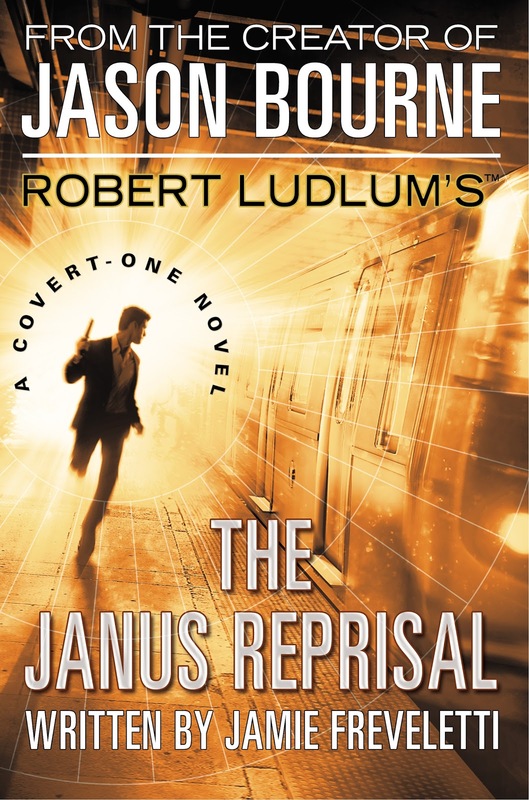 I am pleased to announce that the book I wrote for the Estate of Robert Ludlum is on sale today! Several people have asked me what it was like writing a continuation of a series begun by a legendary writer such as Robert Ludlum and I can say this: Scary, fun, difficult and engrossing, but the things that I thought would be difficult weren't and the scary aspect just had to be ignored or nothing would get done. I was and remain a huge fan of Robert Ludlum, of course. His The Bourne Identity is just about a perfect premise for a novel; you've been shot, have lost your memory, and are learning bit by bit about who you are and the signs are pointing in an ugly direction. 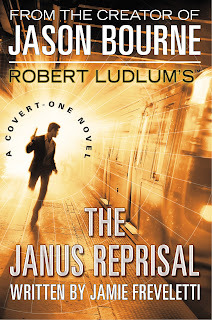 I had to think long and hard about what Ludlum would like as I wrote. His books contained international plot lines, non stop action and nasty players in the world arena. They often dealt with government gone awry. The Covert One series is about a group of covert operators accountable only to the President of the United States and deployed by him when matters get deep and ugly. The main character, Jon Smith, is a military man, microbiologist and a member of the United States Medical Research Institute on Infectious Diseases at Fort Detrick. (USAMRIID actually exists and a strain of anthrax there was suspected to have been used in the mailings from 2001). He's the perfect Ludlum character because he's upstanding, competent and willing to do what it takes. While he's not as dark as Bourne, he's just as deadly. Lieutenant Colonel Jon Smith opened his eyes to see a shadowy figure standing at the foot of his hotel room bed pointing a gun at him. The terrorists are swarming through the hotel, where leading scientists and doctors from around the world are attending a meeting of the World Health Organization. The attackers have a hidden agenda. While the hotel is under attack, Oman Dattar, a strongman who is held in a prison nearby while being tried by the International Criminal Court for crimes against humanity, escapes. Dattar hates the United States and holds it responsible for his arrest and extradition and he also hates Britain, because that country has agreed to imprison him. He acquires a deadly weapon that kills silently, quickly, and once deployed cannot be contained, and he begins to carry out his plan of revenge. Smith and the other members of Covert One will have to use all of their skills to stop him. I had a blast writing this novel, and I hope you enjoy it! I look forward to reading your novel soon, Jamie, and hope to get you to sign it at Bouchercon! See you there! Thank you John! I'd be happy to and see you there! That would happen to me when I used to play iwin on my PS2, use a can of air to clean the laser, also make sure there are no scratches on your disc even minor ones would seem to give my PS2 problems about game iwin online. Hope this helps. From my personal experience, you can let a specialist essaykings.me deal with your paper, and get more free time for your personal needs.